At home, above my desk, there’s a small shelf of books neatly lined up between two wooden bookends. The small shelf sits atop a much larger shelf; one that is filled to capacity with comic book trade paperbacks. The small shelf on top has one comic—a hardcover edition of the recent Batman story, Whatever Happened to the Caped Crusader? signed by Neil Gaiman—and a dozen or so other books. Included among them are a first edition of Thornton Wilder’s Our Town (missing the dust jacket), a signed first edition of Elizabeth Kostova’s The Historian, a signed, dust jacket-less first edition of Mountain Interval by Robert Frost, a much more recent--and cheaper--tattered Complete Works of Frost, an unsigned first edition of Neil Gaiman’s short story collection, Angels and Visitations, and a signed first edition of part one of Patrick Rothfuss’ fantasy epic, The Name of the Wind. In case you haven’t guessed, this shelf is home to some of my favorite books. The shelf—and, I suppose, its inhabitants—also represent the humble beginnings of a book collection, with the signed Robert Frost being the obvious highlight. Just to set the record straight here, though, I collect comics and, even more so, original comic book art. I consider myself somewhat of an expert in the latter, just because of the sheer amount of time I’ve spent researching the hobby and its trends. I’m at the point where I can pretty much ballpark the price of a page just by looking at it. So, yeah. I collect comic book art. I dabble in book collecting. I do it for fun; I do it for the thrill of rummaging through a dusty old bookstore for dusty old books on a dusty November Saturday. You ask me, there’s no better way to spend an afternoon and its dying light. I’m drawn to paper, addicted to hard covers, and in love with words. Ever since I was little, I had a book in my hands. A big book, a little book, a picture book, a comic book. 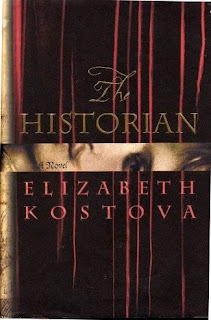 Even when I was far too young to know what the heck was going on in Bram Stoker’s Dracula, I was reading it. And loving it. And being swept away by it. My love for books—real, actual, printed books—took me into a career in editing. It’s also allowed me some of the most rewarding hobbies imaginable, both in terms of being able to singularly get lost in them and in terms of being able to share them with friends. And, come to think of it, complete strangers who would become friends. Book collecting, like any type of collecting, can get expensive and has its hair-ripping moments of frustration and agony. But, as with all things, the better your attitude, the better your outcome. So, instead of throwing myself into the deep end of the book collecting world—as I’ve done with comics art—I’ve decided to keep my book obsession somewhat at bay. And, I think, because of that attitude, I’ve been rewarded several times already, even though I’ve really only just started. For example, this past weekend, I spent one of the happiest Saturdays I’ve ever had wandering—literally—around New York City with two close friends, ducking into and out of bookstores old and new. There was the great find after a 30-plus block walk. And there was the museum-like shop on Madison Avenue with all of its Things No One Can Actually Afford to Buy. And there was the neighborhood book exchange, with its tattered and loved editions of books no one has ever heard of. The three stores could not have been more diametrically in opposition to one another in terms of product line, ambiance, and price. But they were all bookstores, and they were all special places. 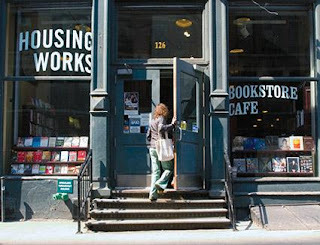 The Housing Works Bookstore/Cafe, which is in SoHo, is—as the name implies—a combination used book store/coffee shop. And, on an early Saturday afternoon with the weather quickly changing towards winter, this shop was packed and full of life. The sound of keyboards clacking and pages turning. The smell of fresh coffee and pastries. It really was a unique, wonderful place. 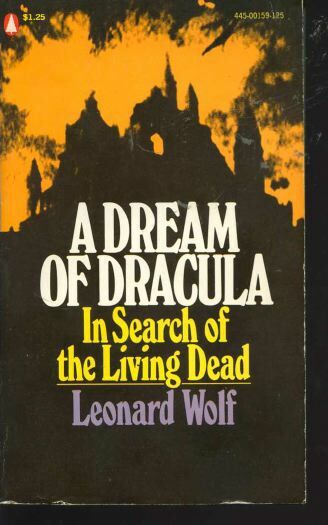 I found a few dusty old paperbacks that have been out of print forever, including Lenard Wolf’s A Dream of Dracula and the (now infamous) In Search of Dracula and In Search of Frankenstein, by authors Raymond T. McNally and Radu Florescu. I also picked up a coffee table hardcover filled with photos and information about the buildings I lived in while I did a semester abroad in Florence. We spent a good deal of time wandering the floor, searching the stacks for whatever caught our eyes. For me, time tends to melt away in a bookstore, and we certainly became cognizant of that after I said, for the fourth time, "I think I'm all set," and then proceeded to look for another 20 minutes or so. From there, we hopped on the subway and made our way to Madison Avenue to visit a store I’ve always wanted to stop in—Bauman Rare Books. I've passed by the storefront many times, either walking to some appointment or driving to some class. And every time, I just wanted to stop and spend the rest of my life in the store. While I didn't have the opportunity to do that, I did get to spend a solid hour looking about, pulling truly historical tomes from bookshelves and flipping through them, and talking to the knowledgeable staff. The prices on most everything I wanted were well beyond what I could ever justify paying, but the experience made the trip more than worth it. On another side of the shop--which resembles the library you've always dreamed of building in your stately Wayne Manor, by the way--were the Really Expensive Things, included among them inscribed copies of Dr. Martin Luther King's autobiography and Kennedy's Profiles in Courage, the first illustrated edition of Mary Shelley's Frankenstein, first editions of Winnie the Pooh, Madeline, and oh, the list goes on. Truly amazing, historical things, looking out through protective glass. Needless to say, we were browsers, and not buyers here. Still, it was a highlight of the day, and it's certainly worth a visit if you're in the city. Finally, we made the long walk up to 81st street and stopped by Westsider Books. This store was the prototypical "book closet" with its stacks and stacks (and stacks and stacks) of books everywhere, even along the stairs! What a find! Every nook and cranny of this shop was packed with books--not an inch of space wasted. We climbed the steep stairs and found ourselves on a small landing dotted with old cabinets filled with books. At the back corner, there were two crossing shelves that housed modern first editions and signed books. Well, that's where we wanted to be. There were some truly great finds int his store, and I walked away with a signed first edition copy of Harlan Ellison's Angry Candy and a beautiful first edition of Cormac McCarthy's The Road. Both were reasonably priced, and the McCarthy was, honestly, a steal. I bought it for $40, which was over $500 less than it booked for at another store. Talk about an amazing find. And that's where I want to wrap this thing up. If you're thinking about getting into book collecting, start with what you know, and with what you like. And set monetary boundaries--and DO NOT exceed them. I have to admit, when I saw the $550 copy of The Road at another store, I was considering asking about time payments. I knew it was over-priced, but I also knew that the condition was flawless. And with modern first editions, condition is the only thing. Still, something told me to wait. Sure, I picked up a copy in a slightly (and I mean, slightly) lower grade, but, wow, was it a good decision. As with most collecting hobbies, patience is a two-way street. Sometimes it pays off, sometimes it leads to sleepless nights. This time, it paid off, and the total waiting time was under two hours. Like I said, a perfect way to spend a Saturday.